President-elect Donald Trump’s newest piece of high-profile real estate will be his occupancy at 1600 Pennsylvania Avenue. And after the Republican takes up residency in the Oval Office on Friday, January 20, 2017, the casino industry might find itself with a strong ally in Washington, DC. Americans hedged their bets on Hillary Clinton on November 8 in what can only be described as the most shocking political upset in United States history. The Trump victory was so unexpected that Irish bookmaker Paddy Power paid out on smaller Clinton wagers early. Paddy Power says it’s lost nearly $1 million in the erred decision, and is now on the hook for almost $4.5 million in Trump bets. The future president says he’s ready to “Make America Great Again,” but that might need to begin with a concerted effort among the executive branch to unite the highly divided country. What’s also theoretically divided are Trump’s views on casinos and any potential federal gambling legislation coming to his desk. 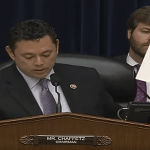 When it comes to the contentious issue of online gaming, his position might be influenced by his largest 2016 campaign donor. 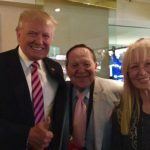 Las Vegas Sands billionaire Sheldon Adelson dumped millions into super PACs supporting the Trump movement. The Venetian and Palazzo owner spent $25 million on Trump ads in the final week alone, following the FBI’s announcement that it was reopening its investigation into Hillary Clinton’s use of a private email server, and is rumored to have poured upwards of $75 million in total into Trump’s GOP campaign. Adelson owns casinos around the world, but is best-known to the US online gaming community for being enemy #1. 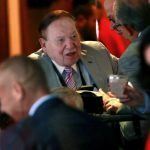 The casino mogul has spent millions of dollars supporting a federal ban to block states from offering internet gambling, and has used his political clout to pressure some Republican congressmen into backing the Restoration of America’s Wire Act (RAWA). 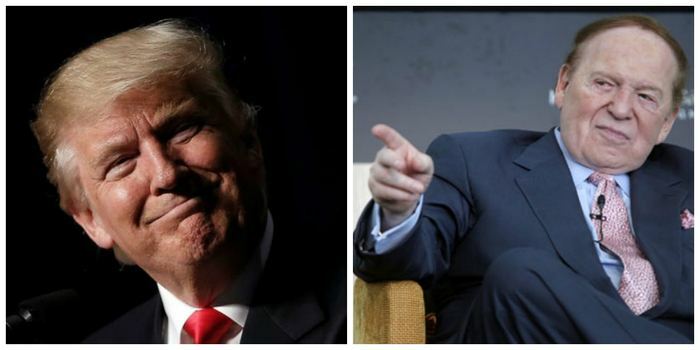 As the 14th richest person in the US, and certainly one of the most dominant figures in the global casino market, Adelson can now add to his power player resume that he has the ear of the man who will shortly be the most powerful leader in the free world. Though Trump began his primary campaign by insisting he wouldn’t cater to high-profile donors or the Washington elite, when it came time to run against Clinton, he had little choice. Heavily outfunded and outstaffed, Trump began soliciting support from his some Vegas bigwigs. And they were ready to bet on Trump. 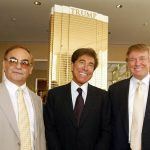 In addition to Adelson’s millions, billionaire Phil Ruffin, who owns the New Frontier, Treasure Island, and half of Trump International Las Vegas, stumped for Trump multiple times and spoke at the Republican National Convention. Carl Icahn, the billionaire who closed Trump Taj Mahal this fall in Atlantic City, also gave his endorsement to Trump. Aside from MGM’s Jim Murren who declared his support for Clinton, and Steve Wynn’s somewhat surprising decision not to back either candidate, the most powerful executives in Las Vegas largely seemed eager to vote in a president who would be supportive of gambling and casinos. The message, at the height of a crippling recession that hit Sin City right in the guts, was not well-received or quickly forgotten by the campaign swing state. Stunned Clinton supporters who believe voters chose racism and hate are claiming the Trump victory is the white American male getting back at the last eight years. Democrats have frequently been accused of moving too quickly to use the race card, and there’s little proof that Jones’ opinion has any truth. However, the high white male voter turnout that overwhelmingly supported Trump might hint at a retaliation to take back the country they felt was moving too far to the left. White men voted 63 percent for Trump, and whites in general voted the Republican 58 percent to Clinton at 37 percent. The Adelson-owned Las Vegas Review-Journal newspaper, which he purchased in late 2015 and which has the highest readership of any Nevada news site, issued a stern rebuttal this morning. “How many American voters leaning toward Mr. Trump were cowed into silence by the progressive shaming machine, intent on tarring those with whom they disagree as racist, misogynist, bigoted, ignorant homophobes?” the RJ asked in an op-ed. If anything, things may be *much* more optimistic for correction of online gambling “prohibition” now at the national level since the real problem was the Democrat controlled Senate and Harry Reid, was it not? Check your facts, please ……Nevada voted Blue, including Clinton, recapturing both State legislative bodies, keeping a Senate seat and flipping 2 Congressional seats. Folks were pissed at the Obama comment, but that was ancient history and he was not on any ballot.